“Manage It” – Examines public attitude towards wildlife management. “Living High” – Studies adaptations of plants and animals to alpine ecosystems. “Water World” – Focuses on aquatic insects and their ecology. “Something’s Burning” – Looks at the positive and negative effects of forest fires. “What’s Next?” – Studies the processes of forest succession. 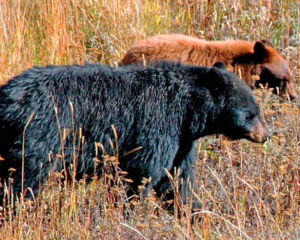 “Just Try’n to Get By” – Investigates factors affecting wild animal populations. “A Wild Fish Story” – Explores the biology and ecology of salmonid fish.